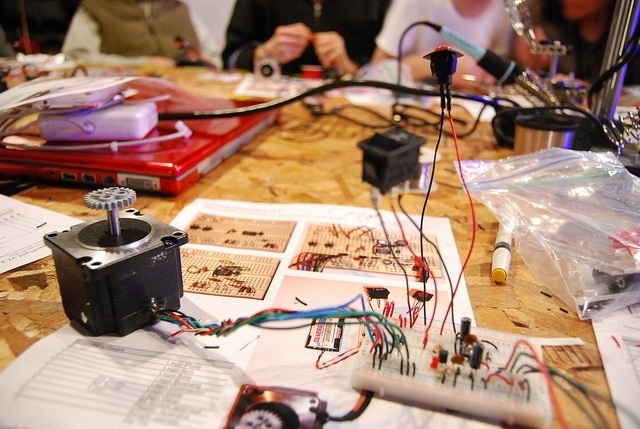 Eyebeam’s Student Resident program is an after-school, 5-month residency open to New York City public high school students interested in studying the intersection of art and technology. During the residency, students work with full time residents, staff and mentors, get training in digital fabrication tools and develop projects working with the guidance of dedicated mentors alongside Eyebeam’s artists in the Residency Program. Student Residents have the same access to Eyebeam facilities and professional development opportunities available to full-time residents including group feedback, staff support, access to tools and studio space, external visits to institutions and artist spaces and presenting work at semi-public community events.